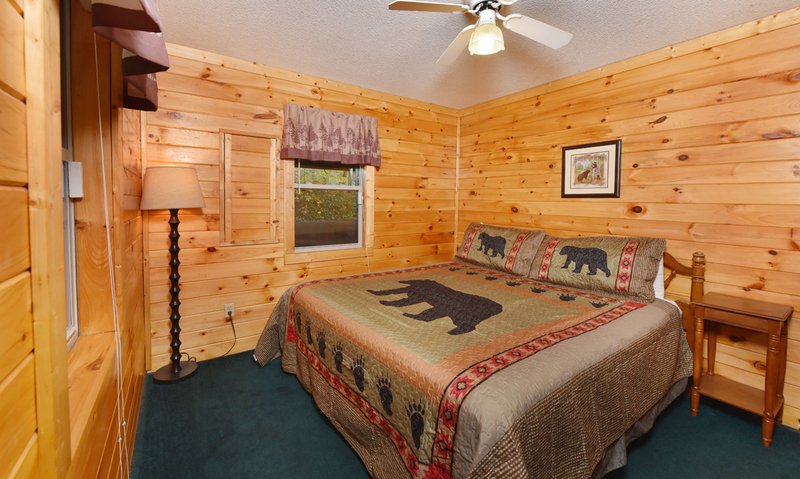 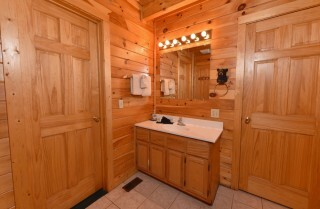 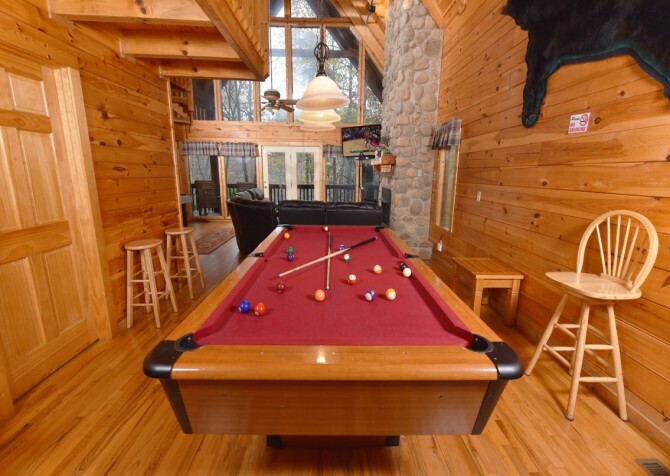 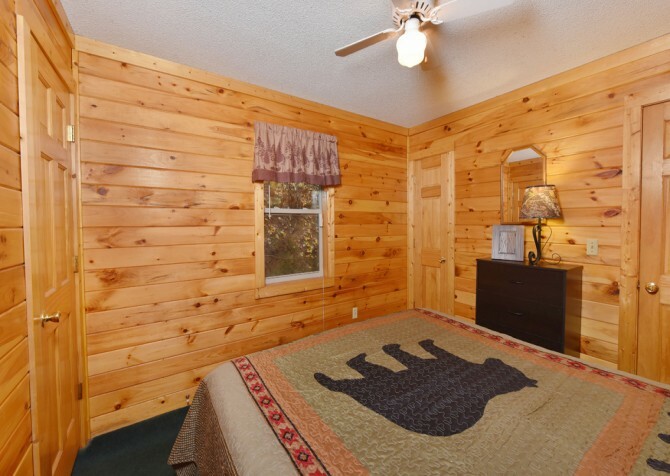 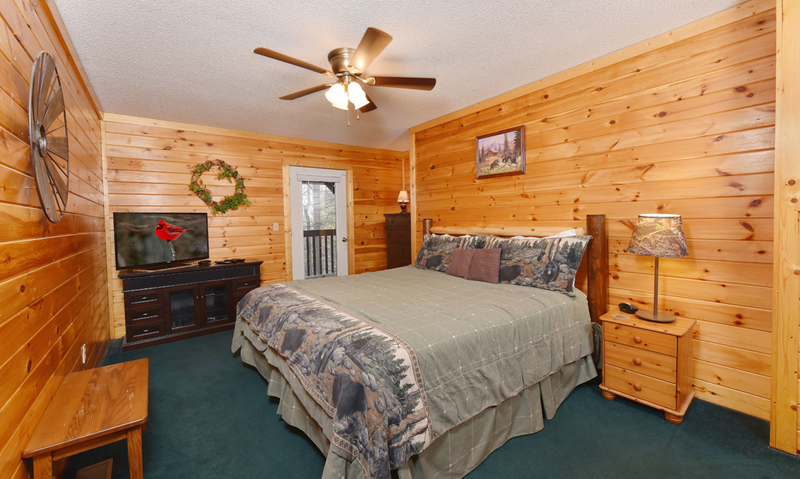 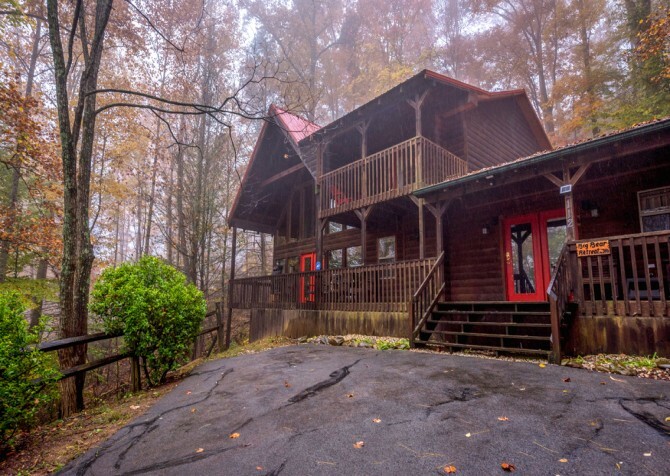 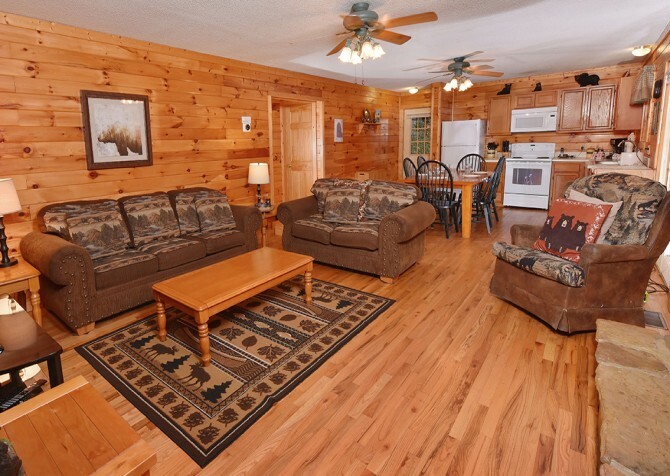 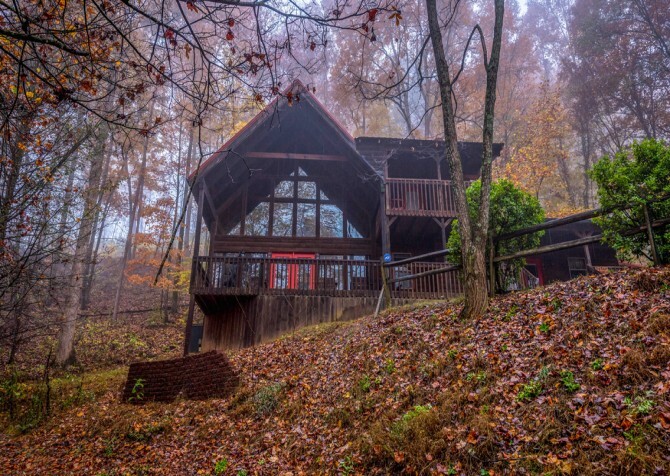 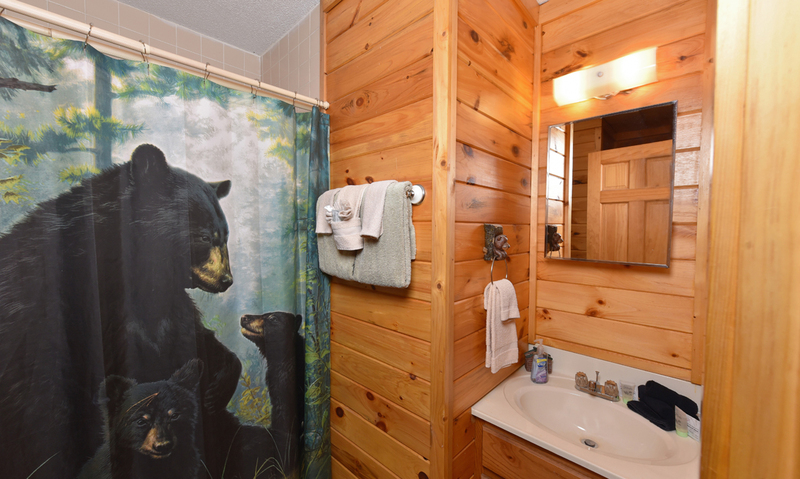 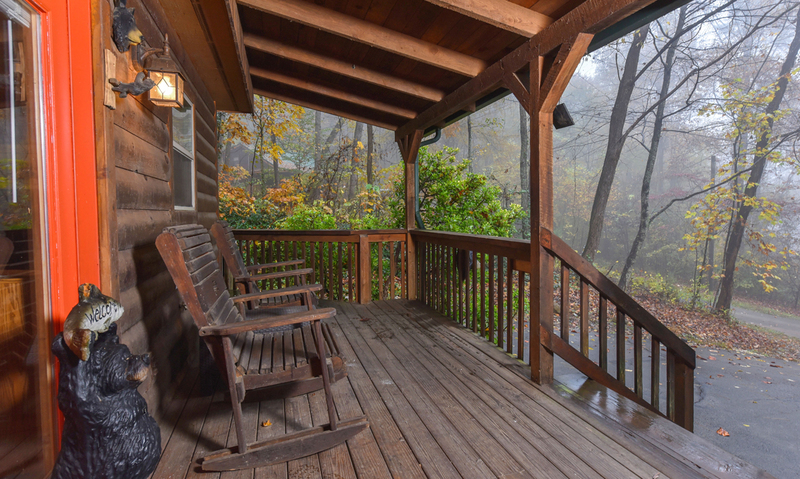 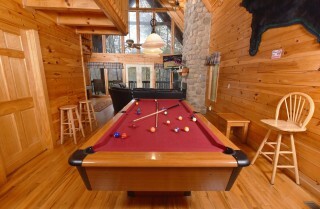 Big Bear Retreat in Pigeon Forge is a classic log cabin with modern amenities and conveniences, space for 10 guests, games, and plenty of ways to relax and unwind in the Great Smoky Mountains. 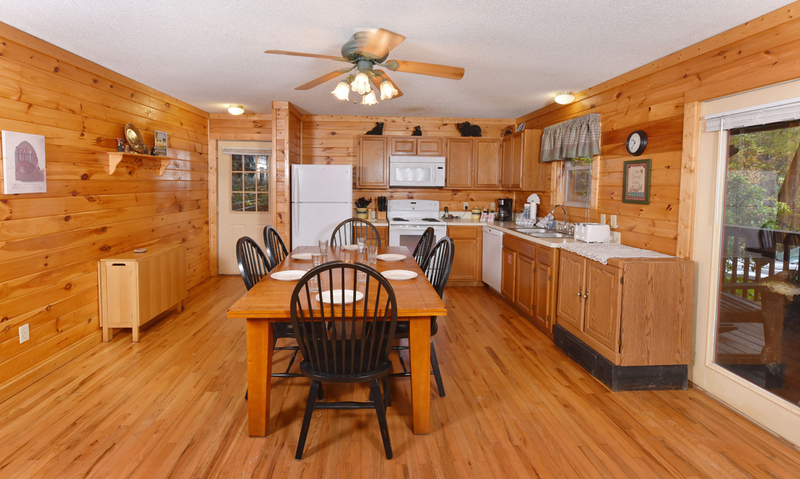 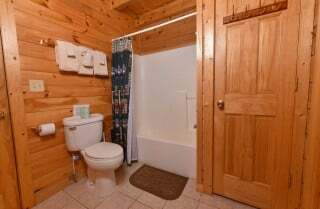 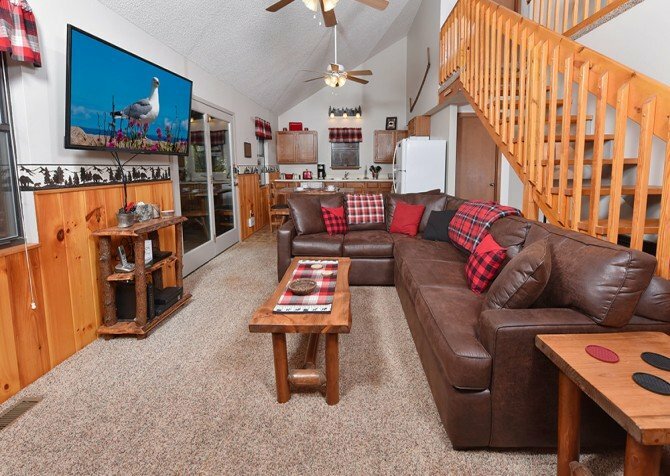 Whether you’re planning a fun couples’ weekend, a family vacation, or a small retreat, this 3-bedroom, 3-bathroom cabin has all you need for a great stay. 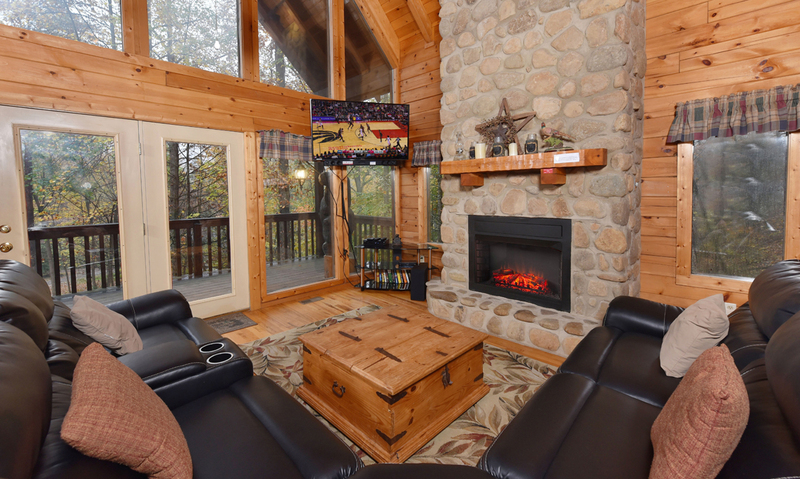 After a busy day exploring the Great Smoky Mountains National Park or playing in downtown Pigeon Forge, Big Bear Retreat is waiting for you to cozy up on the sectional sofa in front of the gas fireplace and big screen TV. 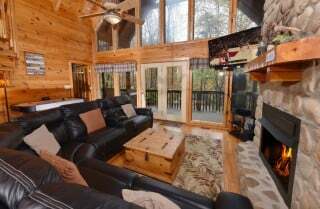 Play checkers on the coffee table (or bring your favorite board games from home), bring movies for the DVD and Blu-ray players, take advantage of the wireless high-speed internet, and grab snacks from the fully equipped kitchen nearby. 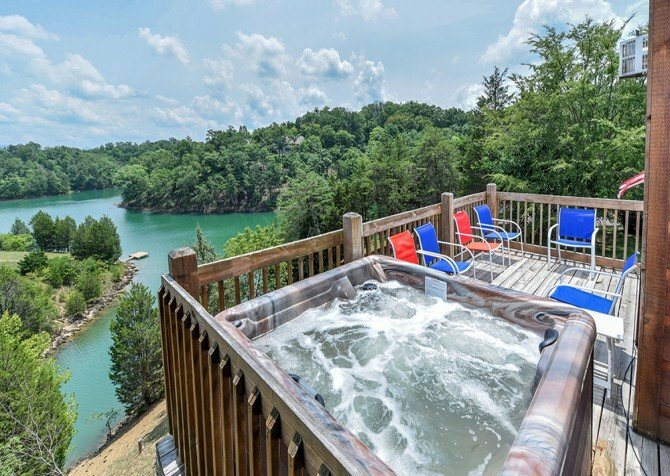 At night, cozy up in 3 king-size beds and 2 twins, sit back with a drink in the rocking chairs on the deck, or climb into the outdoor hot tub to unwind. 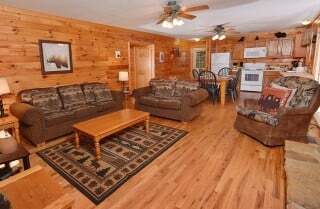 This pet-friendly getaway also has a washer and dryer, convenient paved driveway, TVs in every bedroom, an indoor jetted tub, and a charcoal grill for cookouts! And don’t forget the entertainment: foosball, air hockey, and pool! Comfy and cozy is the name of the game in the living room at Big Bear Retreat, featuring a cushiony couch, love seat, and armchair. Prop your feet up, flip on the big screen TV, and enjoy a bit of entertainment with friends and family. 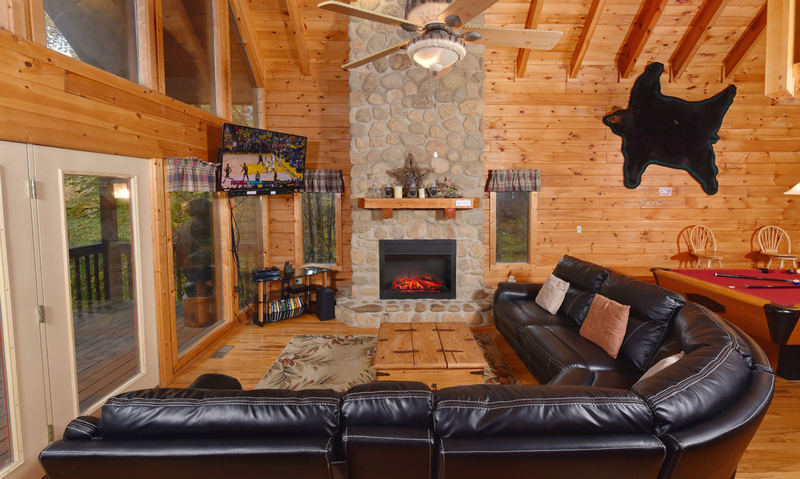 On chilly evenings, unwind with a novel or notebook by the gas fireplace with a mug of cocoa. 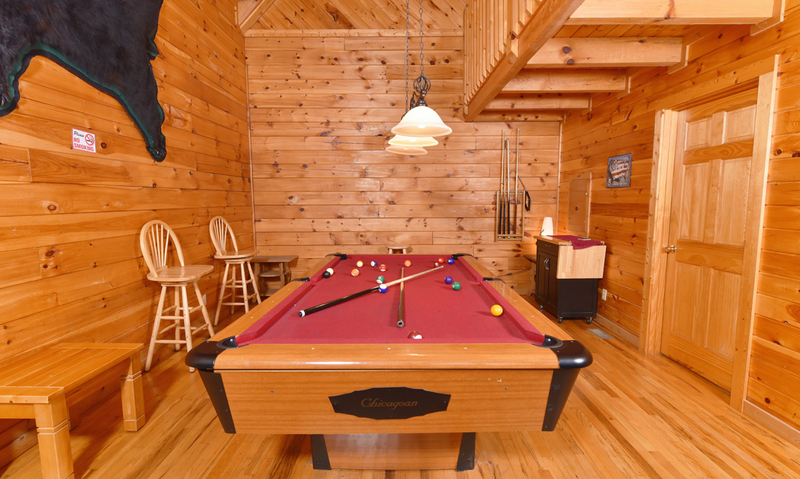 This space is also great for a memorable family game night, with board games brought from home and snacks bought in town on the coffee table. 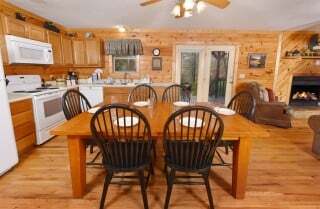 Just off the living area, the fully equipped kitchen offers convenience to hungry guests and midnight munchers. Featuring an open concept, all major appliances, and a bistro for extra prep and serving space, this kitchen is ready to cook up a storm! 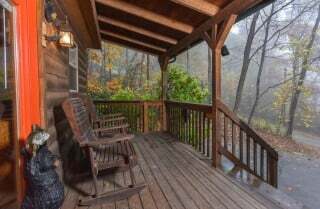 Store fresh ingredients in the fridge, whip up hot meals on the stove, keep biscuits warm in the microwave, bake fresh pies in the oven, and let the dishwasher clean up all the mess. Smack dab in the center of the kitchen rests the dining table for 6. 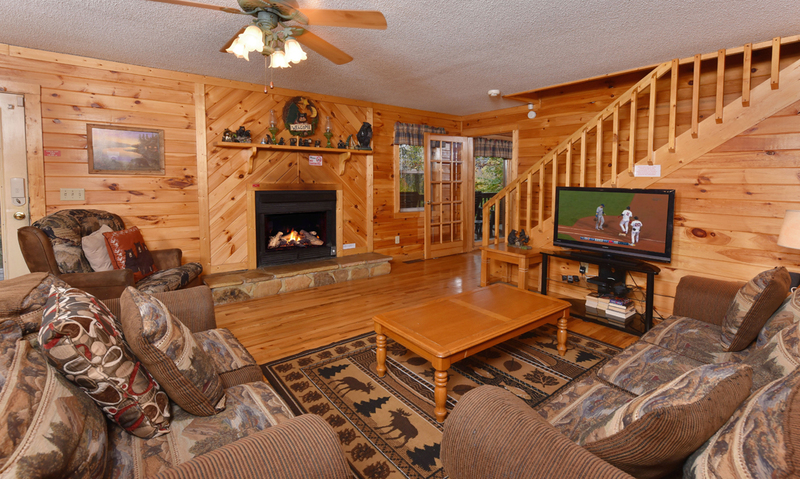 Combined with the living room sofas and armchair nearby, everyone will have a comfy place to dine and chat together. 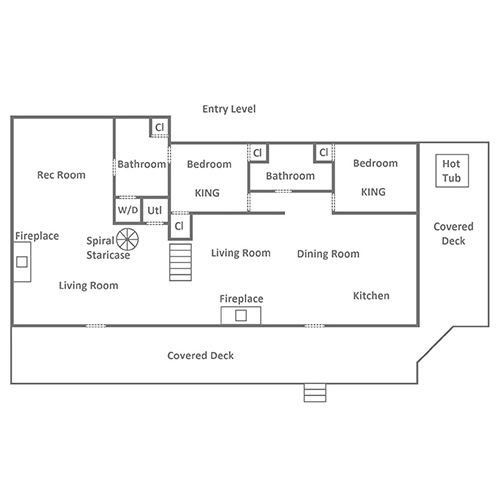 When mealtimes are over, clear the table for a 1,000-piece puzzle or set out tools for coloring and crafting with the kiddos. 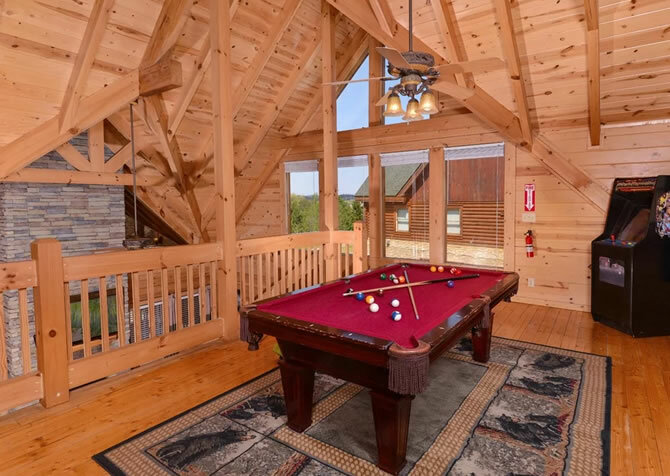 Sky-high ceilings, tree-studded views through a wall of windows, plus a large sectional (with the highly coveted corner seat) keep the rec room spacious and comfy. Settle down for family movie nights with the mounted flatscreen TV and DVD and Blu-ray players. Sip hot cocoa and chat with friends by dazzling flames in the gas fireplace. 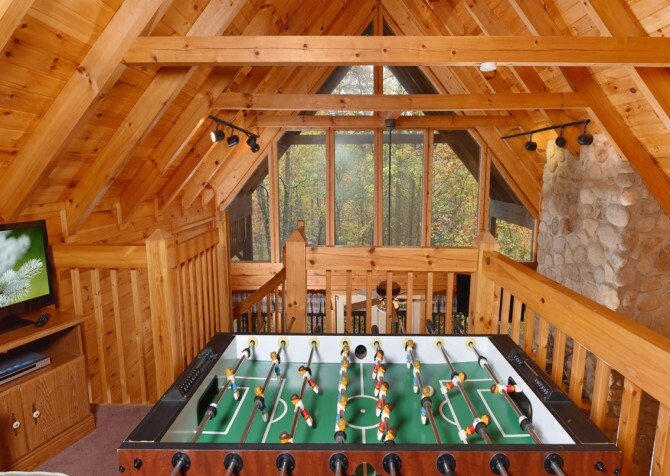 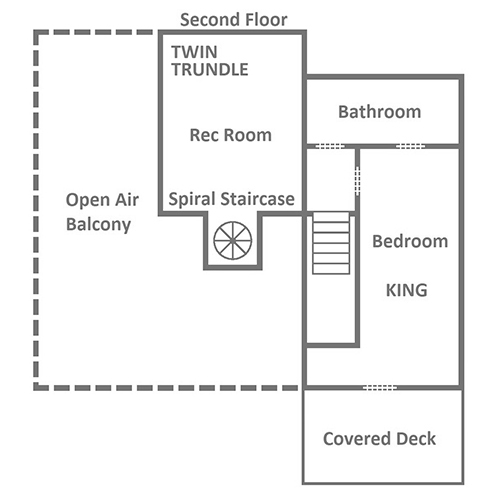 And show everyone your mad air hockey and pool skills — there’s even a foosball table just upstairs in the loft! Alright, you’ve played all day and partied most of the night. 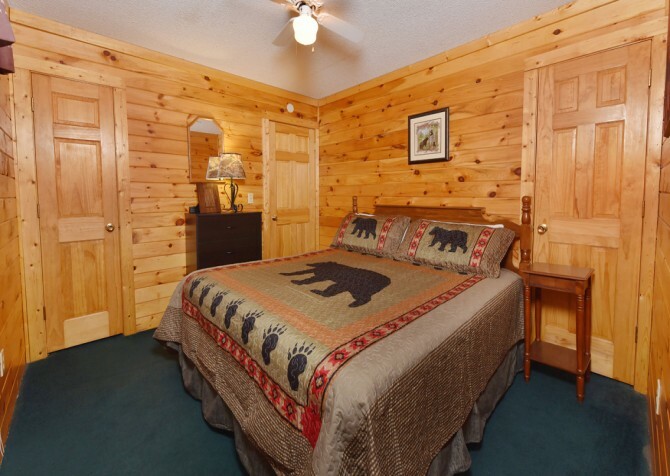 Now, it’s time to unwind and hit the hay. Find king-size beds in all 3 bedrooms plus a twin trundle bed in the loft and a queen sleeper sofa for extra sleeping space. 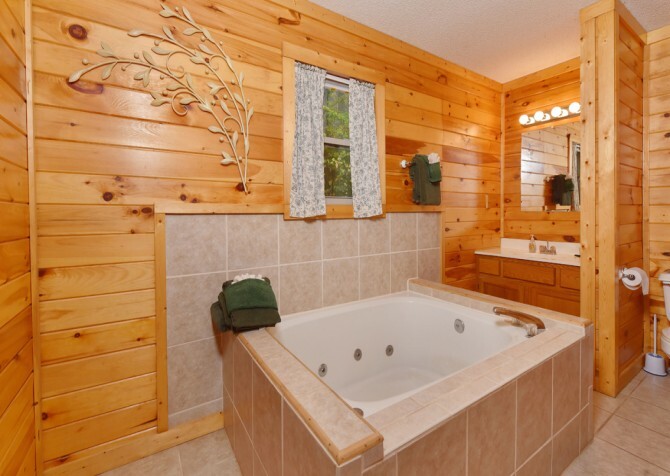 And as a special bonus, you’ll find an indoor jetted tub, perfect for spa baths, in the master bathroom. 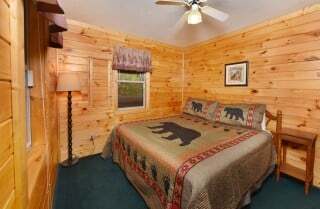 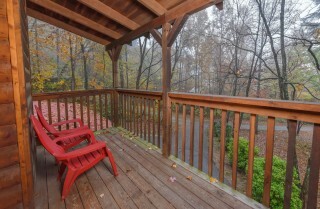 Semi-private with serene wooded views, Big Bear Retreat is not only meant to be enjoyed indoors but outdoors as well. The paved driveway and 5 easy steps onto the front porch make unloading and repacking the cars (up to 3) a breeze, so heading to in-town attractions won’t be a hassle. 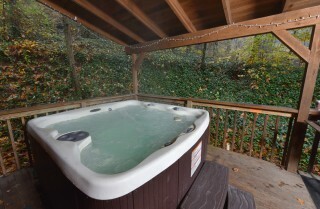 Return to your vacation rental after painting the town red, then hop in the hot tub to soothe aching muscles. Take it easy the next day and host a barbecue shindig with the cabin’s charcoal grill and sway in the rocking chairs while the family chef prepares the beef and veggie burgers. 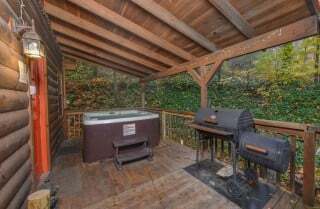 There’s more?! 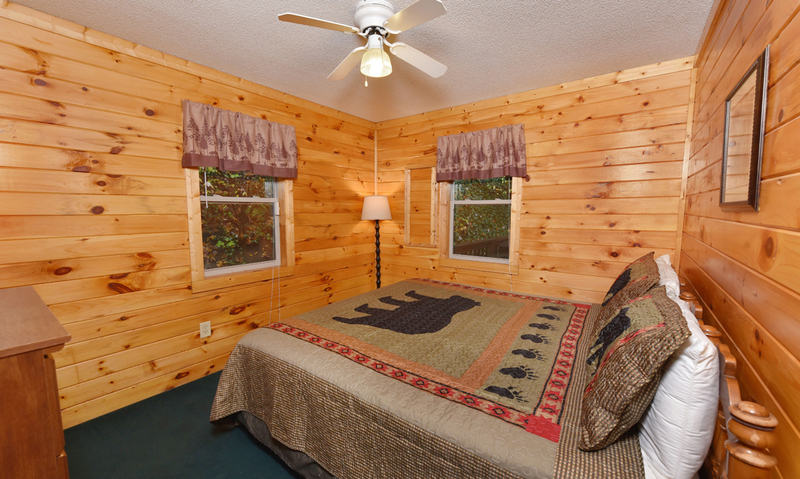 Yep, Big Bear Retreat is also pet friendly, meaning your pup can come with you on a Smoky Mountain adventure! And there’s free high-speed wireless internet, so uploading trip moments will be super easy. You’ll also find a washer and dryer at the cabin, so pack light and leave more room for souvenirs! Less than 5 miles to the center of Pigeon Forge and only 4 to the exciting Dollywood Theme Park, Big Bear Retreat not only provides a place to unwind and feel at home in the Great Smoky Mountains but also a convenient location close to top-notch attractions. 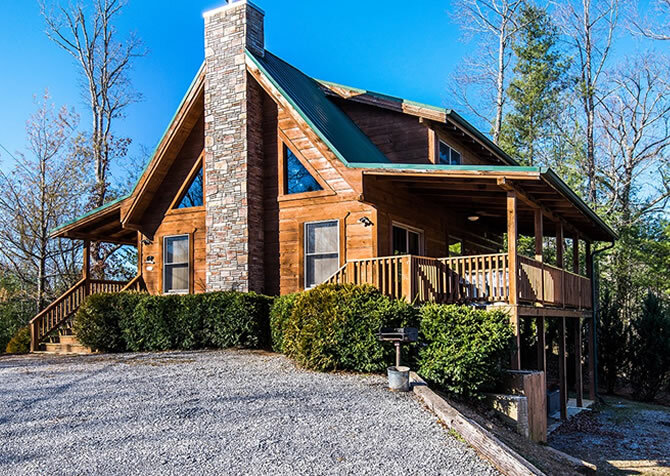 Smoky Mountain views as far as the eye can see, well-manicured greens, and 18 challenging holes help make up the Gatlinburg Golf Course — fun for both experienced players and newbies. Get your adrenaline pumping at TopJump Trampoline & Extreme Arena, featuring Airstrike Dodgeball, Cliffhanger Challenges, Pro-slam Basketball, the Boneyard Stunt Tower, and the Fire & Ice Ninja Course! Curb your sweet tooth cravings at The Old Mill Candy Kitchen, where classic recipes combine with old-fashioned methods to create incredible flavors that can’t be beat. 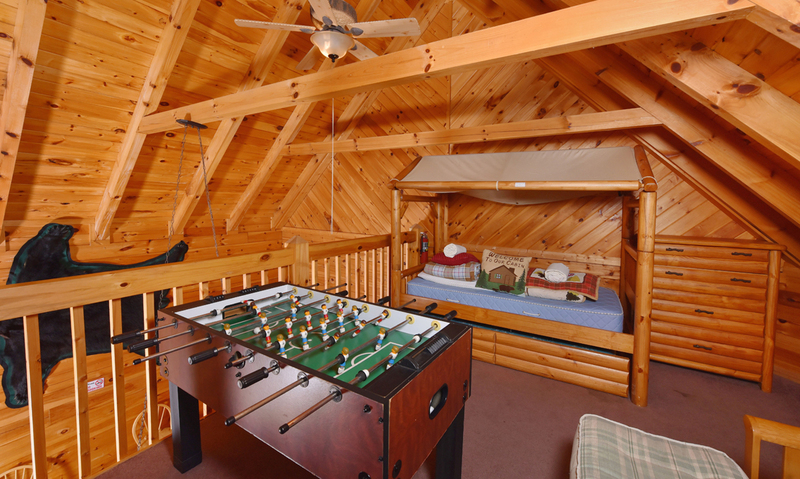 "This is an awesome cabin. it is secluded in the mountains and trees. 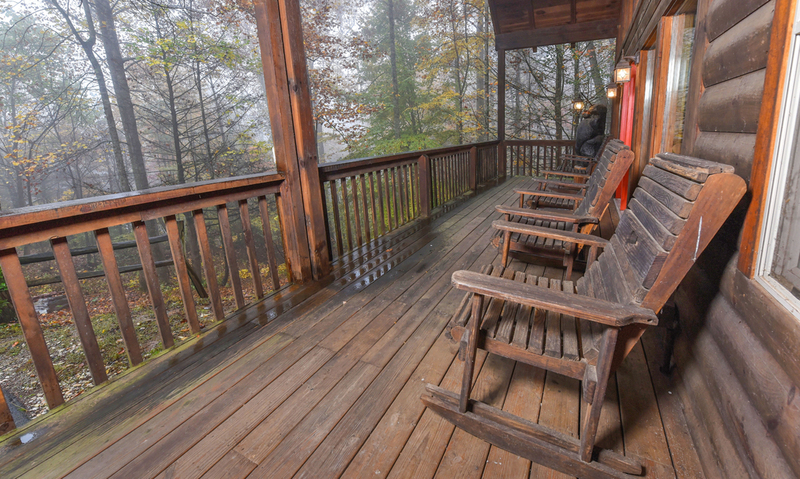 Big front porch and plenty of room for the whole family. Loved itl"
"We had Thanksgiving as a family here. It was a great experience. It is located close to local attractions but still feels secluded. The cabin is tucked nicely into the woods and the fall colors were breathtaking. 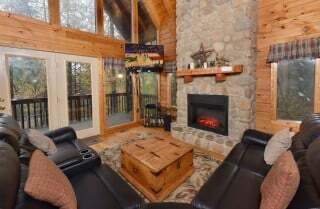 The cabin had everything we needed and felt like home. 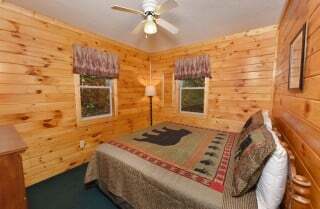 I have recommended this cabin to multiple friends and family."